At least, we thought so, anyway. It would seem that's not quite the case. The stream of time has whirlpools and eddies and you can head back to them over and over again. In fact, sometimes you need to, lest the whole thing jump the banks and change course. That's when the characters in T.I.M.E. Stories head back and make things right again. 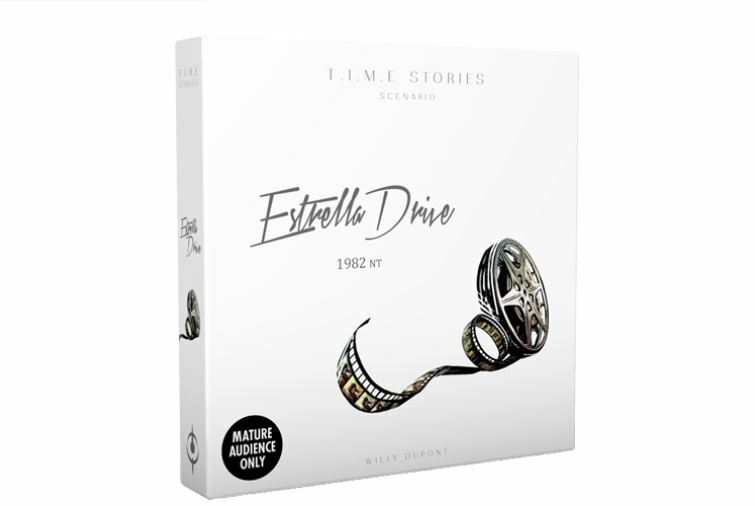 The newest expansion coming out is Estrella Drive. Asmodee is giving us a bit more of a preview of what you can expect this time around. Welcome back, agents. Quickly now, take your seats, we’ve got work to do. You’ve already been briefed on your next mission, from here on out known as Estrella Drive. The place you’ll be sent to within the time stream—Hollywood, California, at the beginning of the 1980s. Prepare for cheap thrills, neon colors, and plenty of confetti. Your objective? To locate and study what we believe to be a temporal loop. Bear in mind, we aren’t looking to close this loop, as the knowledge it will give us as it unfolds will prove to be invaluable to our organization. We’re certain that this mission will be integral in studying the behaviors that Time exhibits—some you have never seen before, agents. More on that later.